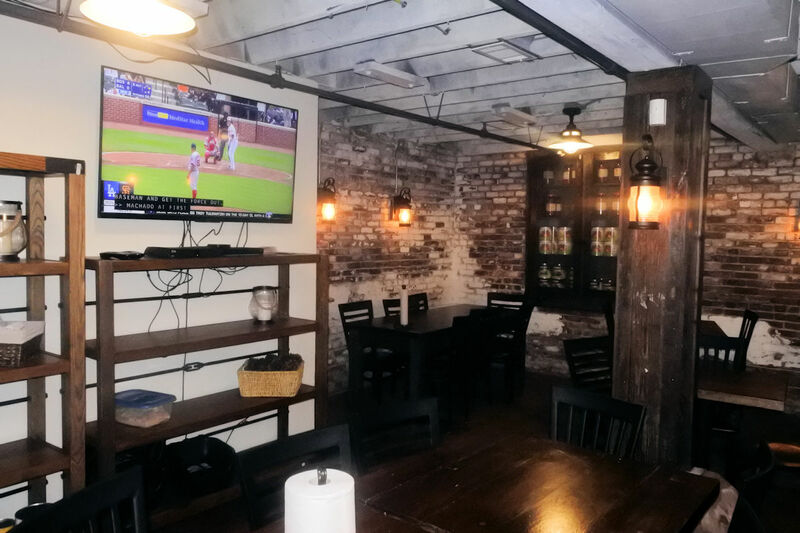 Macon, Ga –We all can benefit from a little R&R from time to time; a tranquil setting, something good to eat, and a refreshing aperitif to wash it all down, and I know just the place. It’s full of craft beers, fine wines, and awe-inspiring grub. 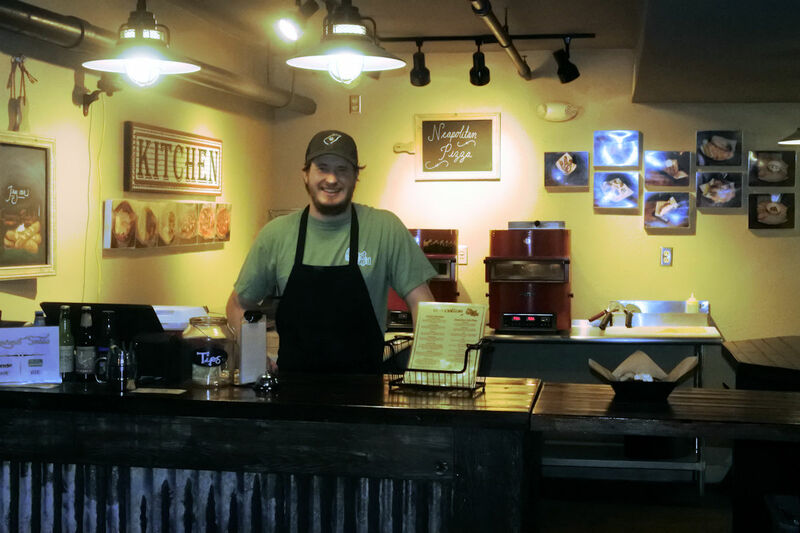 Owners Jeff and Beth Kressin have “Tap’d” into a market that caters to the homebrew enthusiast. 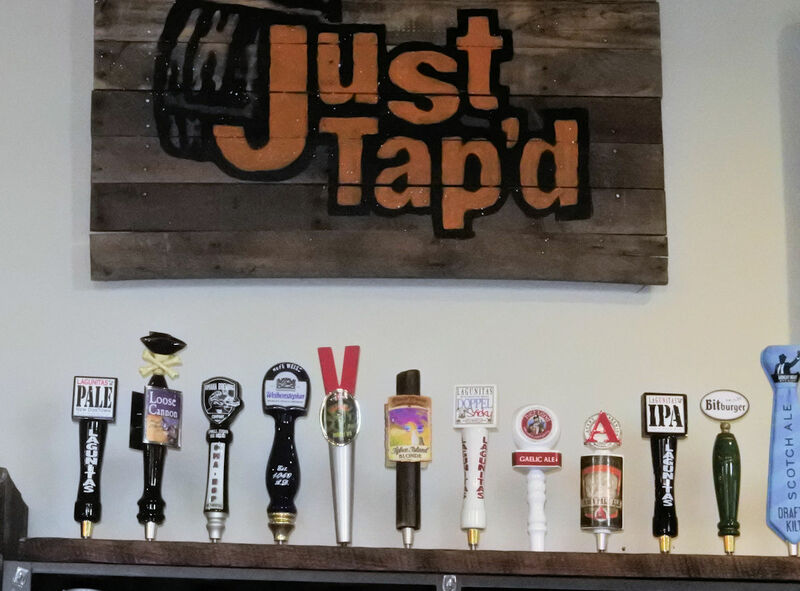 Just Tap’D is a gastropub that originally opened in Warner Robins, formerly known as “Lazy Dog Growler,” and has since expanded their operation to the Macon area. 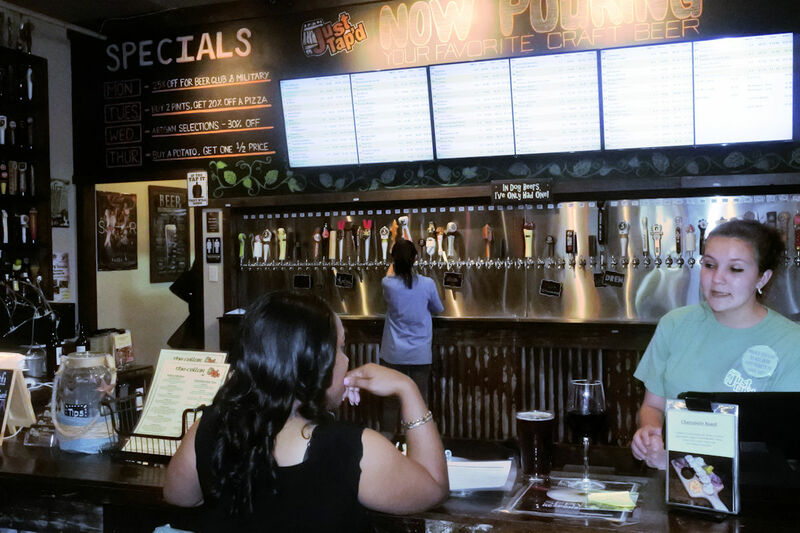 There is a large selection of craft beers at Just Tap’d. Photo by Donja M. Harper. The unique aspects of the business are that it offers 64 different versions of craft beer so. If you are looking to purchase mass produced domestic or imported brew you won’t find it at Just Tap’d. They also have a full restaurant that serves the most delectable pub cuisine. Patrons also have the option of dining in or enjoying the services alfresco. Janie Armstrong and Courtney Carr serving customers at Just Tap’d . Photo by Donja M. Harper. Beyond being a restaurant and bar, they also sponsor community events such as the 3rd Annual Beer Festival. I had the pleasure of speaking to some very enthusiastic and helpful staff who gave me some rather insightful information about it. The event is slated for April 29th from 1-5pm, 488 First St. Macon, Georgia at the Rosa Park Square. Janie Armstrong and Courtney Carr, both who are counter servers at Just Tap’D said that, they expect to see over 1,000 patrons attending this year’s beer festival and that 40 different breweries are planning to attend. Just Tap’d’s lower dining area. Photo by Donja M. Harper. The event will cater to over 100 different brews from a select group of brewers. Stephen Chwat, who is the senior kitchen staff said that he will be preparing pizza and there will be other food catered from various other snack trucks throughout the event. 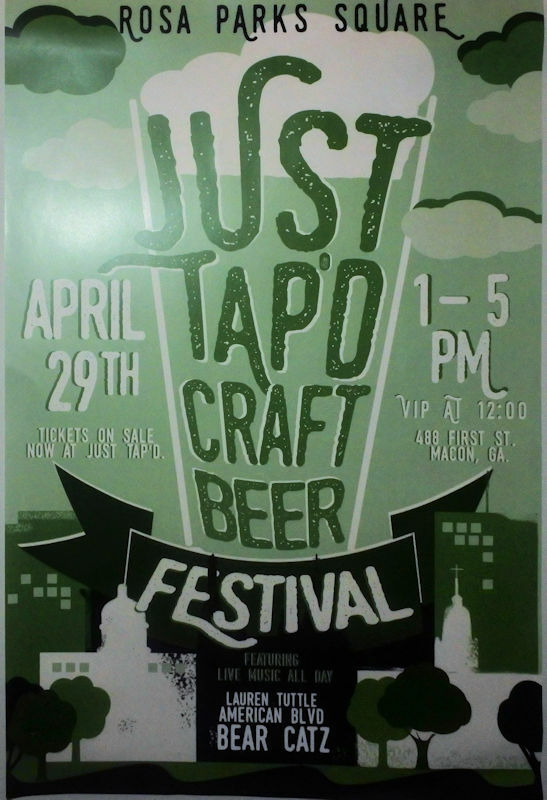 2017 is the third year for the Just Tap’d Craft Beer Festival/ Photo by Donja M. Harper. Tickets for the event are on sale now and can be purchased at the regular price of $35.00 up until the event at any Just Tap’D locations. You will pay $40.00 at the gate and VIP tickets are $50.00. Attendees can get in free if they don’t drink. There will also offer a $5.00 discount on Lyft and Uber services. If you are looking for grub, Stephen Chwat, Just Tap’d Senior Cook will set you up. Photo by Donja M. Harper.